Every year, Railinc employees come together to celebrate fall with a fun, companywide event. It's a great chance to unwind with our colleagues outside the office for an afternoon. 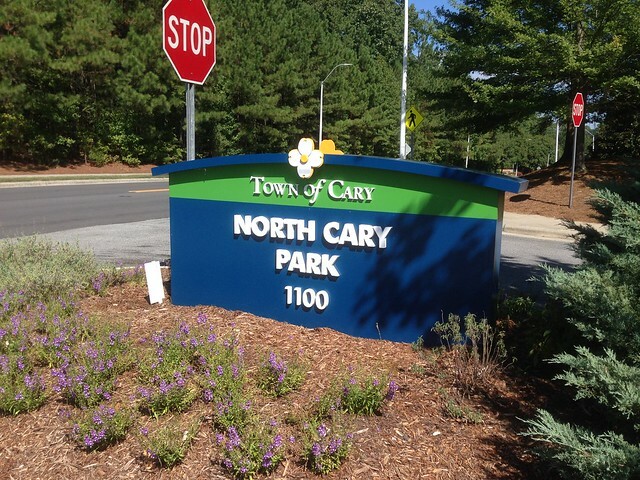 Recently, we took the short walk from our office to North Cary Park to enjoy a lunch prepared from the back of a vintage fire truck by Barry's Cafe. After lunch, employees competed in some classic field day activities, including dodgeball, tug of war, a hula hoop contest and an old fashioned egg race. Check out pictures and a video from this year's event below and on Flickr. More photos from Railinc events, including our 2014 Fall Event, are available on our Flickr page. The next generation of high-tech railroad workers got their first look at how technology contributes to the freight rail industry. Railinc hosted 20 children of employees for Take Our Daughters and Sons to Work Day on Thursday, April 23. Kids from 7 to 12 years old learned about what Railinc and their parents do with technology to help trains get where they need to go. Among their activities, the children got an inside look at Railinc's workspace from server and conference rooms to agile meeting spaces. Employees led an exercise in which the children, pretending to be railroads, used strands of tape to connect to each other and see how Railinc serves as the industry hub for electronic messaging. Others took the kids through a line-of-road-failure exercise and showed the children photos of different types of rail cars. Kids also listened in on customer support center calls to see how people and technology work together. Thanks to all the Railinc employees who helped make the day special for kids and parents alike. We know all about rail data at Railinc. In fact, we have detailed information on nearly every railcar and locomotive you'll find rolling down the tracks in North America. These records include information like railcar type and capacity, locomotive horsepower and manufacture date. Each year, at the Rail Equipment Finance Conference in La Quinta, Calif., Railinc Senior Analyst David Humphrey, right, presents detailed analyses of these demographic data, providing insights into the state of the railcar and locomotive fleets and where they're heading. The conference is one of many events that Railinc attends annually. "Railinc has been a consistent presence at the Rail Equipment Finance Conference for more than 15 years," said David Nahass, senior vice president at the Railroad Financial Corporation, which holds the conference. 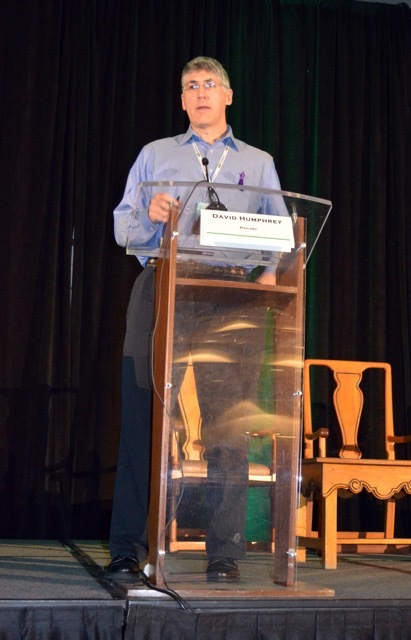 "David's presentations are always among the most anticipated parts of the event. The attendees know the quality of Railinc’s data and see a lot of value in the information that David presents." More than 400 people attended this year's Rail Equipment Finance Conference, including representatives from railcar lessors and lessees, banks, shippers, Class I railroads, short line railroads and finance companies. At the conference, David presented on the revenue-earning railcar and locomotive fleets. The data in his presentations come from Railinc's Umler® system, an electronic resource that contains critical data for North American rail transportation equipment. Railroads, equipment owners, shippers and others use the Umler system for the safe and efficient placement, movement and interchange of cars for railroad carriers and customers. In the Q&A below, he discusses the fleets, how people use his research and select highlights from both presentations. 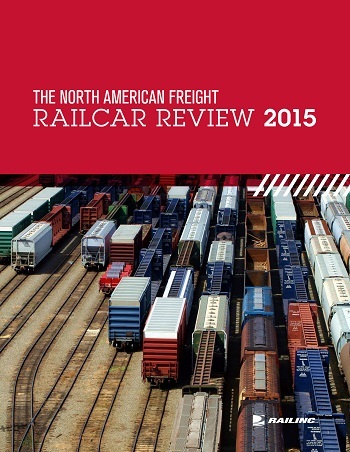 More detailed information about the fleets is available in the 2015 North American Freight Railcar Review and the 2015 North American Locomotive Review, both of which are free to download. What is the revenue-earning fleet? The revenue-earning fleet is a subset of the North American rail fleet that is largely composed of freight cars that can be used in interchange service and against which an interline waybill can be placed. It is made up of six sub-fleets: hoppers, covered hoppers, gondolas, flat cars, tank cars and box cars. This revenue-earning fleet of freight cars excludes locomotives, intermodal trailers and containers, maintenance-of-way equipment and end-of-train devices. Why do you focus on this group of railcars in your presentation? Most conference attendees are not interested in everything in the Umler system. Their professional focus is on traditional freight cars in revenue service moving lading from origin to destination. This is the primary means by which most car owners produce revenue from these assets. The revenue-earning fleet provides an excellent approximation of active freight cars in service. While locomotives and maintenance-of-way equipment are vitally important to the railroads, they do not produce revenue the same way equipment in the revenue-earning fleet does. The Rail Equipment Finance Conference has a focus on the financial aspects of buying, selling, leasing and building freight cars and locomotives. Conference attendees use the data we present there to help make decisions for the next year and for the next decade. The age demographic data we present on the various sub-fleets highlight equipment being added in North America as well as what is likely to be retired in the next decade or so. What were the major trends for the revenue-earning fleet in 2014? The trends we saw in 2014 were a continuation of what we saw the previous year. The size of the revenue-earning fleet was up 2.6 percent and surpassed its 2009 population level, which is further indication of improvement in the overall economy. The two largest sub-fleets, tank cars and covered hoppers, drove the growth, while the two smallest sub-fleets, box cars and hoppers, continued to decline. The average age of the fleet continues to decline as new cars join the fleet. And larger cars, which enable operational efficiencies, are predominating among additions to the fleet. Like with railcars, the locomotive fleet increased in size in 2014. Last year the fleet grew by about 900 locomotives and was up about 2.5 from the previous year. Locomotives tend to have long service lives, so we didn't see much change in the average or median ages of either, though both measures did increase slightly. And bigger railcars and longer trains require larger, more powerful locomotives. As a result, high-horsepower, six-axle, AC diesel locomotives have driven the fleet's recent growth. 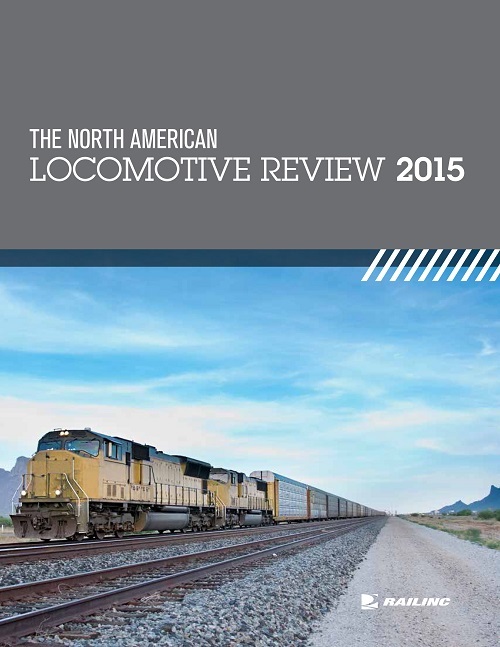 The 2015 North American Freight Railcar Review and the 2015 North American Locomotive Review are both available to download for free, as are past years' reports. Railinc provides quarterly updates on the revenue-earning fleet in its Umler Equipment Index.